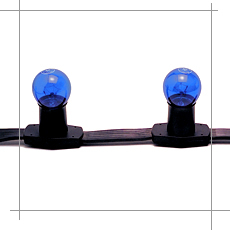 Pearlight is a series of bulb holders (with replaceable B22/E27 bulbs) molded on a flat cable, which can be cut at any interval. It is popular for both indoor and outdoor decoration. ITs large bulb size makes it perfect for large-scale decoration where strong and ample lighting is needed. Pearlight is widely used for decorations on buildings, in squares and along roads. 2-wire (Static) and 5-wire (7 different lighting effects) models are available to cater for different decorative purposes in order to create different atmosphere.